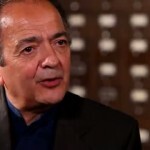 Gerald Celente: Politicians Are All Liars & Thieves - Wall St. for Main St.Wall St. for Main St.
During this 20+ minute interview Jason asks Gerald about the latest of the many Hillary Clinton scandals and why nothing serious ever seems to stick to Bill and Hillary Clinton? Gerald thinks the press loves her and she’s protected most of the time by the media. Jason and Gerald discuss whether Hillary will still run for President in 2016. Next, Jason and Gerald discuss the corruption of both political parties. Gerald calls all politicians liars and thieves. Jason and Gerald discuss whether a viable 3rd political party will appear in the near future. Jason thinks the party will be purely Libertarian while Gerald thinks it will be Progressive Libertarian. Jason then asks Gerald about why the US is going so hard after Putin and Russia? Gerald says the people in DC are sociopaths. Jason also asks Gerald why whistle blowers like Edward Snowden and Bradley Manning who are trying to positively reform the government are treated like criminals. To wrap up the interview, Jason asks Gerald if he thinks the US middle class is being intentionally destroyed.